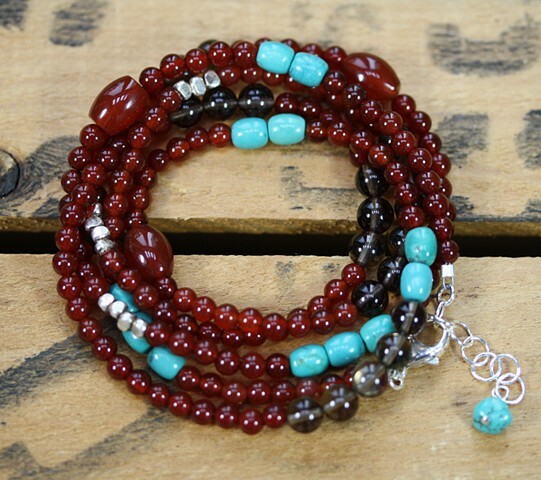 A long strand of carnelian 4mm beads with smoky quartz, turquoise and silver accents. This piece is both a 5 strand wrap bracelet or a fun long strand necklace. Designed with both in mind. Sterling lobster claw closure and 2" extender. Length approx 33 1/2 - 35 1/5"